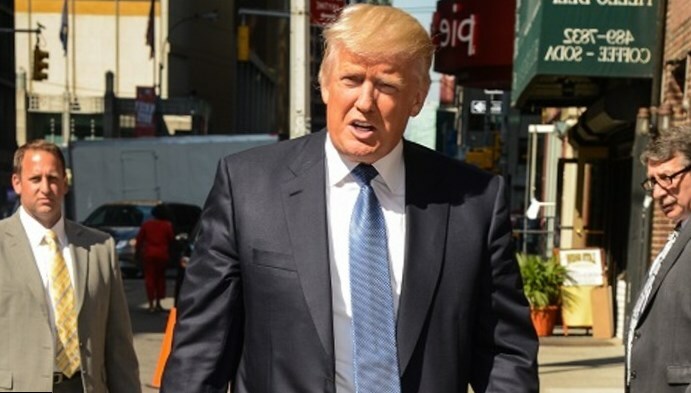 Donald Trump Celebrity Looks and Style. Must see! 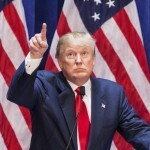 Now, when Donald Trump is running for Presidency, his clothing style is discussed in press as well as the other things connected with the politician – his family, his personal life and his business. 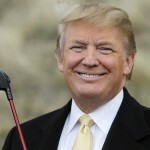 Donald Trump is a scandalous person, and that’s why most people are waiting some tricks from him even if it goes just about his clothing style. 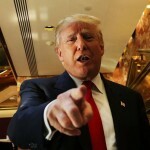 Nevertheless in this area Donald Trump is quite strict and traditional. 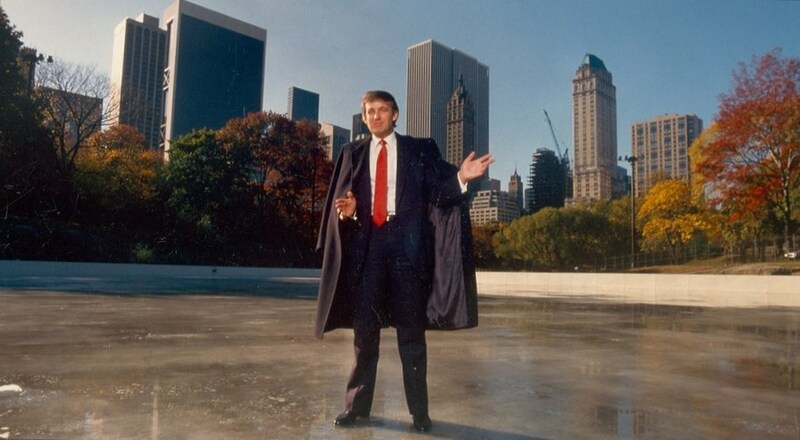 Being a businessman from the earliest years, Donald Trump prefers suits for his everyday life. Paparazzi caught him unexpectedly numerous times and every time he wore a classical suit. 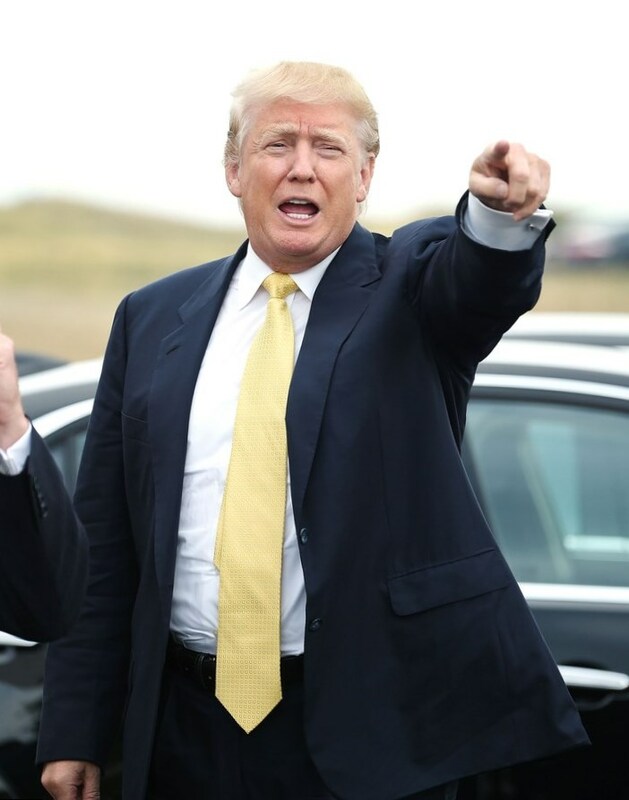 Donald Trump suit is always perfect, which cannot be said about his ties. Trump ties are too bright for a real businessman. They are also too long. Classically the tie should reach man’s waist line. The Donald’s ties usually hang much lower. And it is not the only one fashion mistake of a celebrity. But probably, it is not fair to call Donald Trump style “a mistake”. It is rather his unique peculiarities. Not long ago talented Donald Trump added to the long list of his achievements the profession of a designer. He created his own line of apparel – the lovers of the celebrity can enjoy Trump shirts for men, Trump suits and Donald Trump tie collection. They say, everything Donald Trump touches becomes a brand. 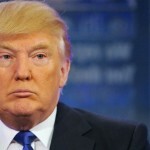 If you like to look like Donald Trump, here are some peculiarities of his style. 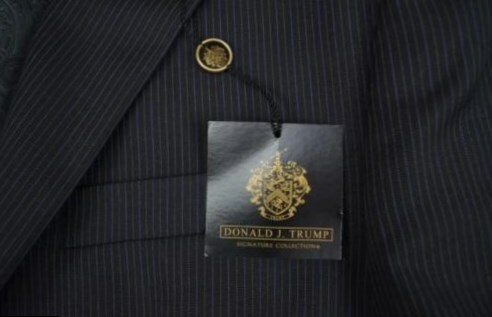 Most of people think that to look like Donald Trump, they should read Donald Trump suits review and then choose one of the suits from his collection. Of course, sometimes the business mogul wears suits from his own collection. But in fact most of the suits the star puts on daily, are made in Italy. It is rumored, he prefers Brioni trade mark. Donald Trump is a solid rich person and he got used to classical style. His suits are usually of dark colors like grey or navy blue. In a navy blue jacket he was usually noticed at his The Apprentice show. The celebrity always wears his jackets unbuttoned. 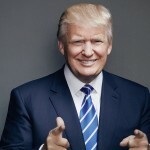 When he was asked by a fashion magazine reporter, why he prefers wearing suits, Donald answered, it is respectable and he got used to it. He added, he has a great stock of suits at home. Thus he shouldn’t think in the morning, what clothes to wear. “I have many other things to think about” he tells. 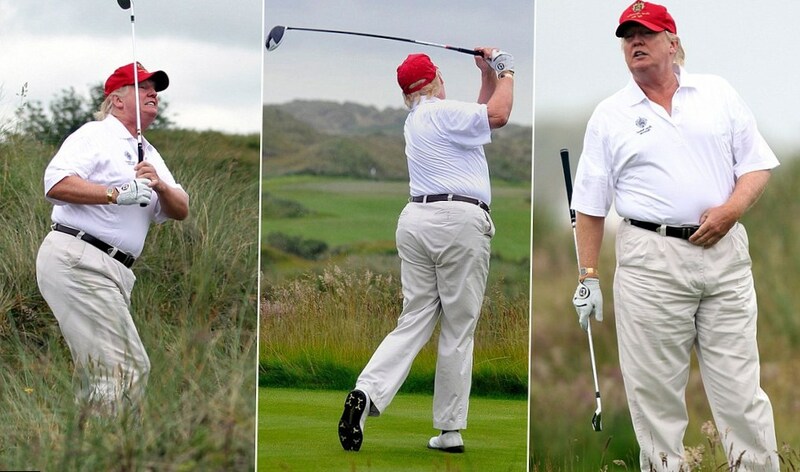 When Donald is on vacation, he doesn’t wear classical suits. 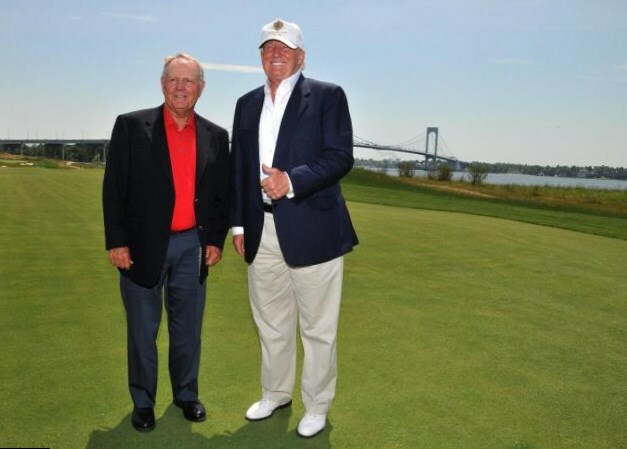 He prefers golf khaki jackets and white dress shirts. 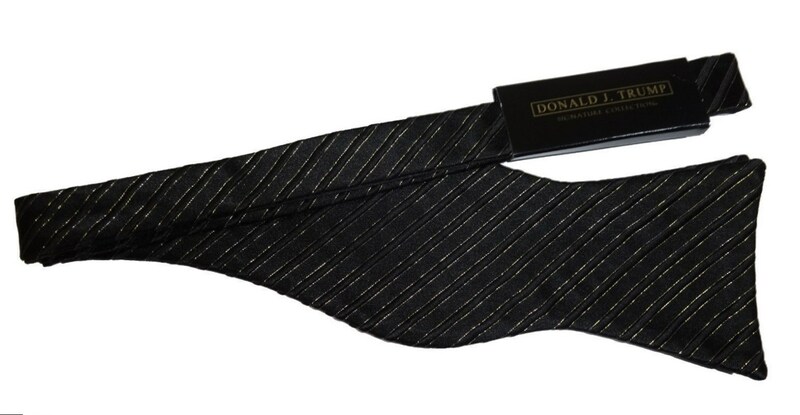 Donald Trump ties are another thing that is peculiar to his style. He wears ties from the very beginning of his career. Earlier he preferred dark colors – black or blue. When he started his “The Apprentice”, he wore a red tie. Now, when he is running for presidency, he prefers bright tints like pink or orange. Sometimes he prefers ties with patterns – with stripes or geometric figures. 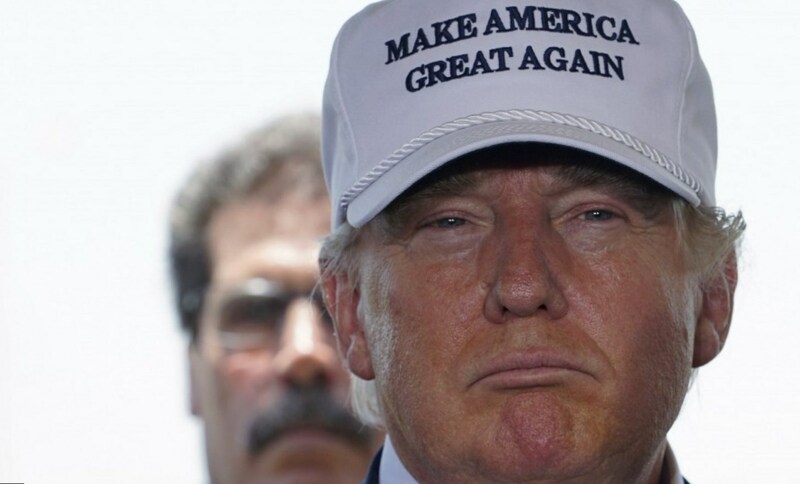 For people, who like to copy Donald Trump style, wearing his cap is a must have. 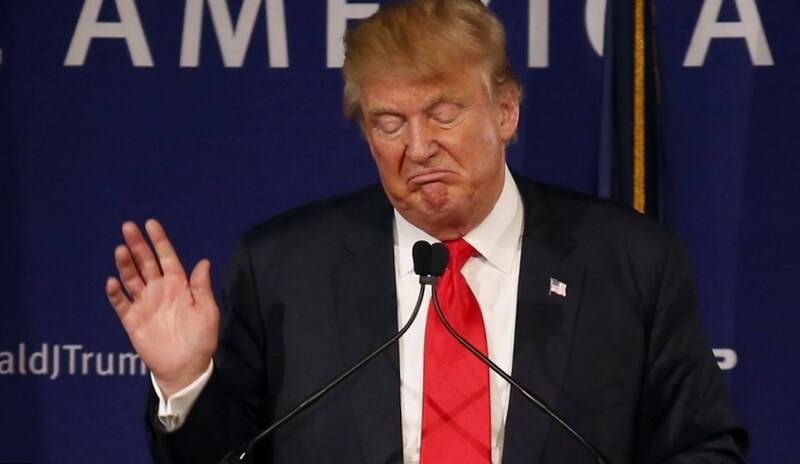 The future (probably) President Donald called his campaign “Make American great again”. This phrase is written at Donald Trump dress shirt and at his baseball hat. If you have some extra cash, you can get the baseball hat and look exactly like Donald Trump. 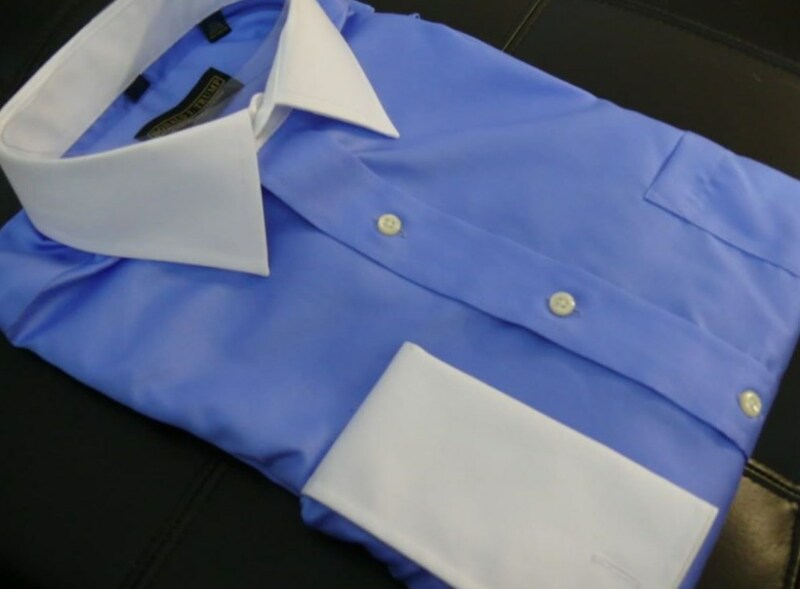 Donald J. Trump collection offers to his clients great variety of shirts and dress shirts. 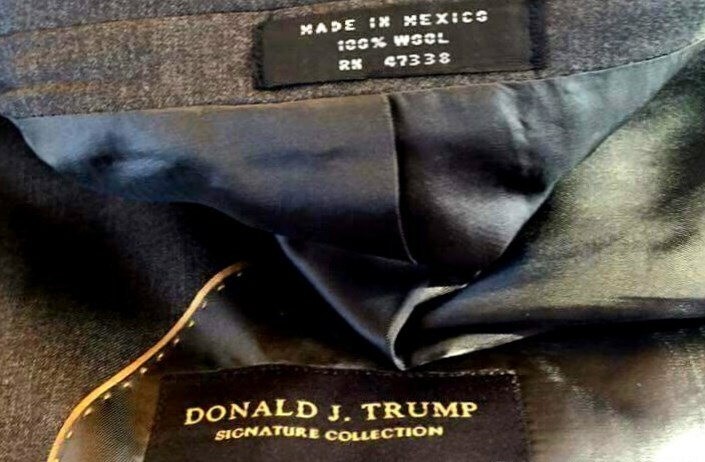 Not long ago, it was discovered that Donald Trump clothing line is produced in Mexico, although as a politician, he insists, the things must be produced in USA to provide middle class of the society for jobs. The color of the shirts he wears are usually light – white, light grey and beige. The celebrity prefers shirts and dress shirts of classical tints. Accessories are important for every person, especially for those, who are making their careers actively. And the main accessory for a businessman is an expensive watch. 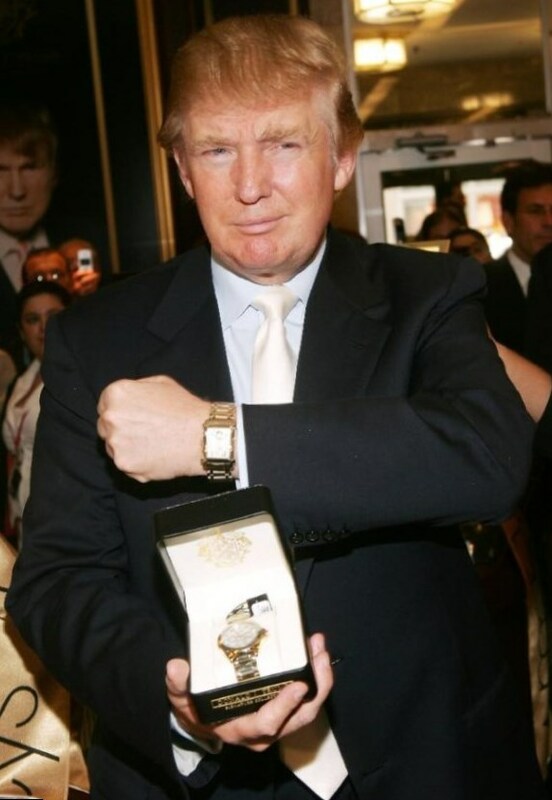 Donald Trump watches collection looks impressive. He also offers to his followers elegant cufflinks, reading glasses and belts. For every person fragrance is important. Donald Trump smells well every day. He prefers his own fragrance. It is named Success by Donald Trump. The fragrance is great, active and full of inspiration. The notes of juniper, frozen ginger and fresh bamboo brings the sweet feeling of self confidence to each man, who gets this smell. There’s another smell in Donald Trump Fragrance collection. It is called “Empire”. It has the notes of peppermint and apple. 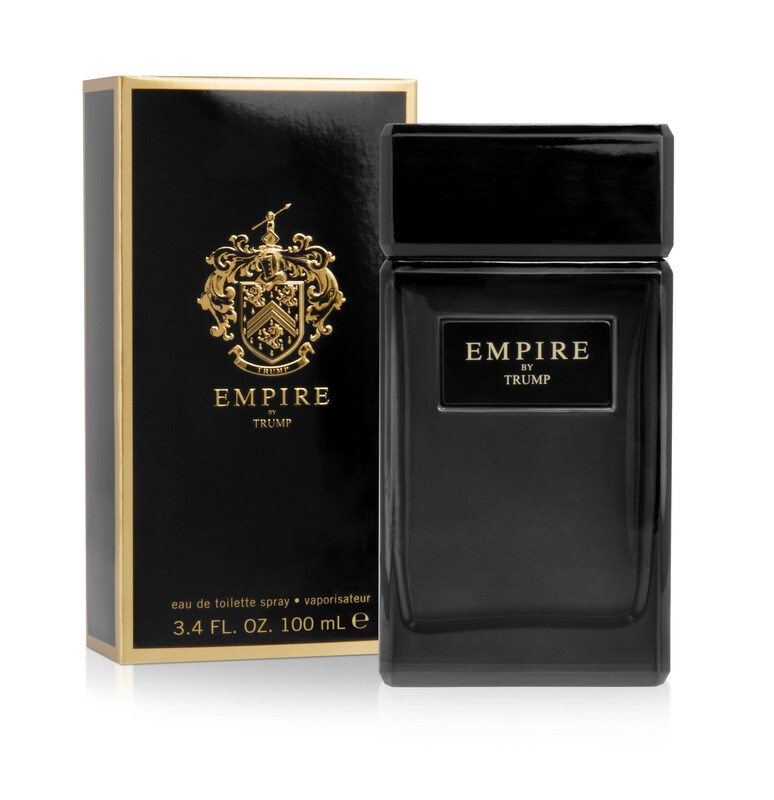 The fragrance is created for a person, who is ambitious enough to build his own business empire. These things are enough to create Donald Trump style. But there’s one more thing that is peculiar to the politician. Donald Trump had unnatural tint of skin. It is rumored the celebrity uses sun tan to get such a golden tint of his skin. So, what is peculiar to Trump style? He likes suits, ties and white shirts. He has his own line of clothes. The celebrity Trump wears suits all the time. But he tells, he can sign the deal with a man in jeans if his offer is profitable enough. “As I don’t pay much attention to clothes”, Donald Trump tells.